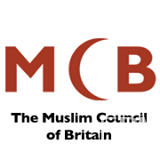 The Muslim Council of Britain (MCB) notes with concern the reports of rising racism in Britain, linked to the “growing hostility to immigrants and widespread Islamophobia”. The authoritative British Social Attitudes (BSA) survey, as reported by the Guardian, indicates that this is reversing the trends seen in the 1980s and 1990s. This corroborates the MCB’s previous warnings. With the the ongoing and regular scaremongering about Muslims from certain sections of the media; and with Islamophobia becoming more socially acceptable, having “passed the dinner table test”, there is a real danger that such prejudice will further stoke up anti-Muslim hatred and provide the fodder for an already growing number of acts of violence against the Muslim community. These findings should act as a wakeup call for both the government and non-governmental organisations in realising the scale of this dangerous trend. We therefore call on the Right Honorable Sajid Javid MP as the Minister for Equalities to acknowledge the growing Islamophobia and offer our support in putting together a strategy to proactively tackle this divisive issue for our society at large. Such calls have been consistently raised over the past few years from various groups with limited success, in spite of its impact on community cohesion and the subsequent violent acts against Muslims and mosques across the country. From our experience in Britain with racism, we can be confident that with the right strategy and appropriate support from the government, huge strides can be made against anti-Muslim prejudice and this trend can be reversed. Britain can be proud of its record as a tolerant society and so can the Muslims for their continued positive contribution in that enrichment.